In a recent Guardian article Jonathan Wilson writes about the possible longevity of Spain’s dominance of world football. That Spain have been able to produce skilful, intelligent players like Xavi, Iniesta and Silva, all who are 5 foot 7, has been attributed to a different focus in junior football. He says that perhaps the obsession with pace and power in other countries (England were the tallest team at the U-20 World Cup tournament) has contributed to a lack of creativity and imagination on the football field. This situation is something the French Football Federation were trying to address at one of their committee meetings earlier this year. The meeting was secretly recorded by Mohamed Belkacemi, national technical adviser for football in poor, multi-racial suburbs of France. The tape reveals the current France national team manager Laurent Blanc as saying, ‘We are producing only one prototype of player: big, strong, fast… and who are the big, strong, fast players? The blacks… I think we need to refocus, above all for boys of 13-14, 12-13, introduce other parameters, adjusted to our own culture’ (quoted in Lichfield, 2011). The recording of this meeting caused significant outrage in France. 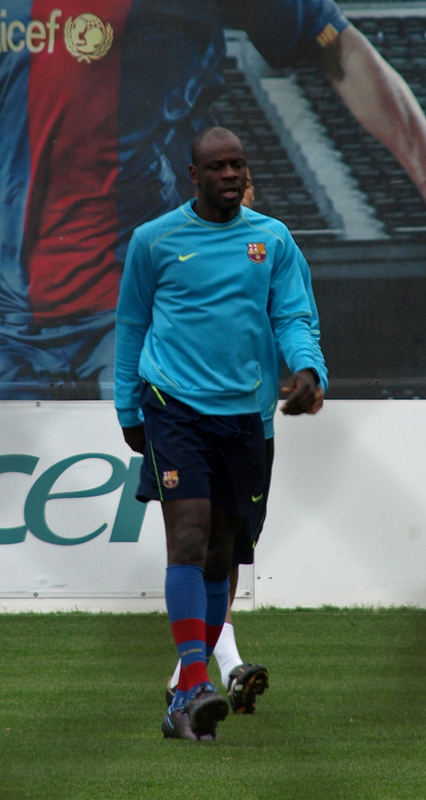 Ex-national team defender Lilian Thuram, campaigned for Blanc to be fired, saying he is ‘guilty of at least unconscious racism and promoting racial stereotypes’ (Lichfield, 2011). Blanc remains the national team manager, and was also recorded saying that he wouldn’t care if the whole was made up of black players. Nevertheless the meeting became notorious due to the suggestion from others on the committee that ‘quotas’ should be used when selecting boys to join training programmes. This hasn’t happened, yet. The intention was to prevent young, skilful players who may not be as strong as others, from being discouraged from playing by bigger, stronger boys. It seems that Blanc, and others, believe the biggest and strongest teenage boys in France most often happen to be black. What he appears to be saying is that if instead of prioritising qualities like strength and pace, they focused upon skill and technique this would encourage skilful white, black and brown players to continue playing the game. However Thuram believes, with some justification, that once the assertion is made that black players are more strong and powerful, it is only a step away from saying that white players are more intelligent than others. This kind of racial stereotyping is something Thuram witnessed while he was a player at Barcelona. He talks of a physical trainer saying that Eric Abidal was an, ‘Athlete of the black race’. Thuram adds, ‘It’s not because he stays behind to run after training. No, it’s because he’s black’ (quoted in Kuper, 2008). Thuram, as well as being a cultured, intelligent and dominant defender, has also been outspoken politically, most notably on issues of economic injustice, immigration and race. He is a natural choice for the second centre-back in the Political Footballers XI. The riots across France in 2005 & 2006 stirred up issues of immigration and nationalism. These riots predominantly took place in poor, underprivileged areas and the rioters were disaffected youth from immigrant communities. Thuram himself has little memory of the game, and had to be told by his team-mates and manager Aime Jacquet that they had won, and were in the World Cup final. Jacquet says he thought Thuram was in some kind of mystical state during the game (Hussey, 2007). Thuram calls it his ‘Miles Davis moment’. The multicultural ‘black-blanc-beur‘ team that won the World Cup that year didn’t please everyone in France. The racist Jean-Marie Le Pen, former leader of the National Front, said, ‘Thuram as a non-European represents an affront to France’, and went on to complain that there were too many black players in the French national team. In later years there was also some criticism from the immigrant communities of some of the players, particularly Zinedine Zidane. Some felt that he didn’t do enough to draw public attention to issues affecting the Algerian population in France. Thuram called this game the worst moment of his career in football. At that time he says he felt like everything he believed in, like people being able to live together in harmony, was all wrong. Since that night he has done everything he can to make the opposite come true. With Patrick Vieira he invited 70 recently evicted black African refugees to a European Championship qualifying game against Italy. The purpose was to initiate a discussion about how immigrants are treated in France. There were moves to change the law as a result of this gesture. He has also established a foundation in his name to continue the work against racism. This former Monaco, Parma, Juventus and Barcelona defender rightly deserves a place in central defence in the Political Footballers XI. Hussey, Andrew (2007) ‘The OSM Interview: Lilian Thuram: If you can keep a cool head’ in the Observer, 4th March, 2007. Lichfield, John (2011) ‘In Black and White: Blanc is on the brink’ in The Independent, May 6th, 2011. I respect Thuram but he should go easy on Blanc Lets forget the stereotypes, on the average black players are stronger than others, not always faster. The most skillful players black or white are those with low centre of gravity a la Maradona, Messi, Xavi, Silva. We alo have skillful black players like Okocha, Kanu but most of the black players that make it in Europe are selected based on their strength like, Drogba, Toure etc. I think the problem is that many national associations have focused on easy-to-measure qualities like strength and pace, to the detriment of less easy to measure qualities like skill and technique. They are now reaping the consequences of those decisions, as they watch Spain win everything with small, skilful players. Black or white isn’t really the issue, in my opinion. I have seen many fast, powerful white and latino players, and some of the most skilful players I have ever seen have been black. Thierry Henry, John Barnes, Pelé… So many that show the stereotypes aren’t always accurate reflections of reality.